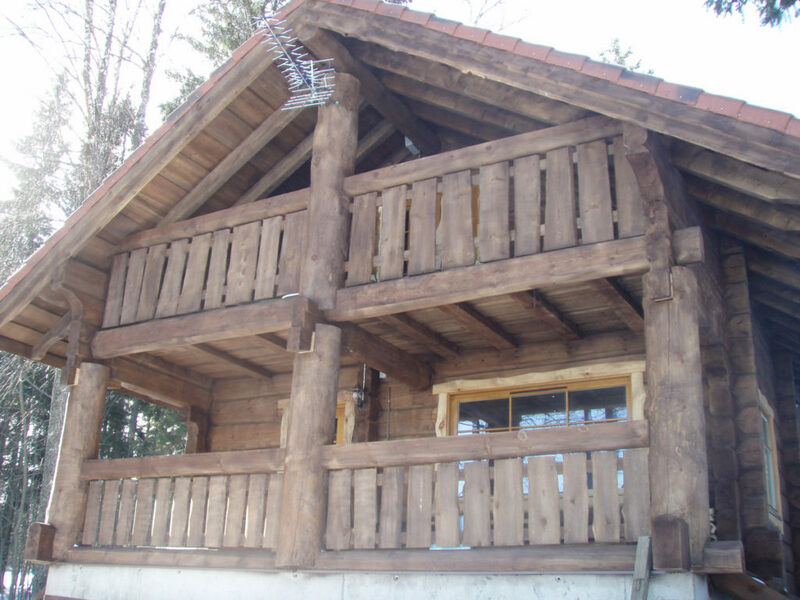 (sawn logs) two sides sawn off from round logs with the minimum diameter of at least 300 mm. 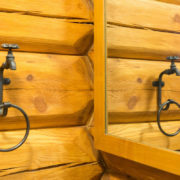 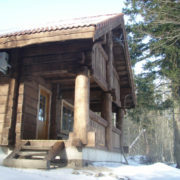 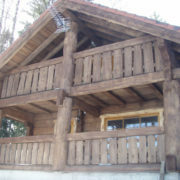 Thickness of the log depends on customer's wishes, most common are 200 mm and 250 mm. 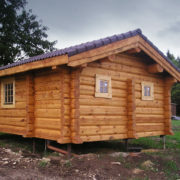 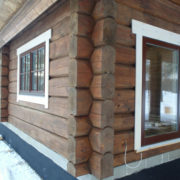 In case of oval flat logs we use weatherproof "Norwegian notch" with wind joints. 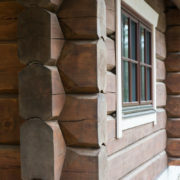 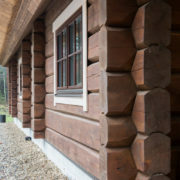 The Norwegian tenons are a bit more complicated and laborious to make than other popular corner joints but they are much more windproof and more durable. 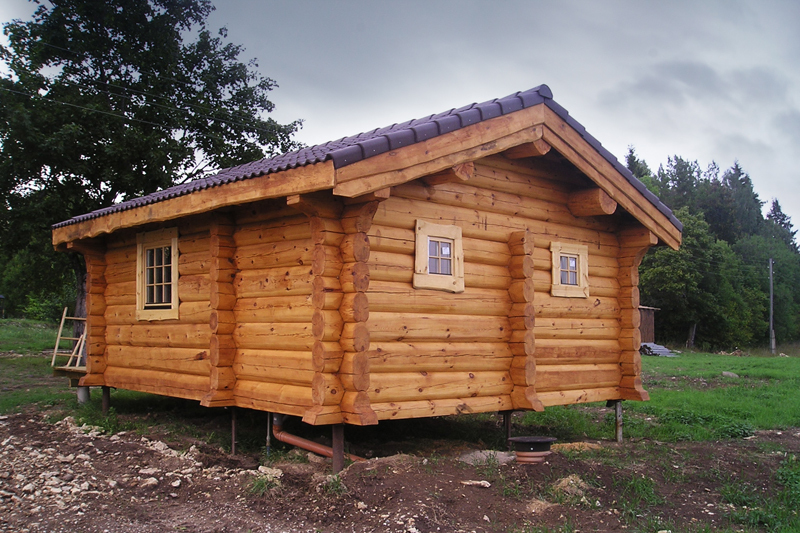 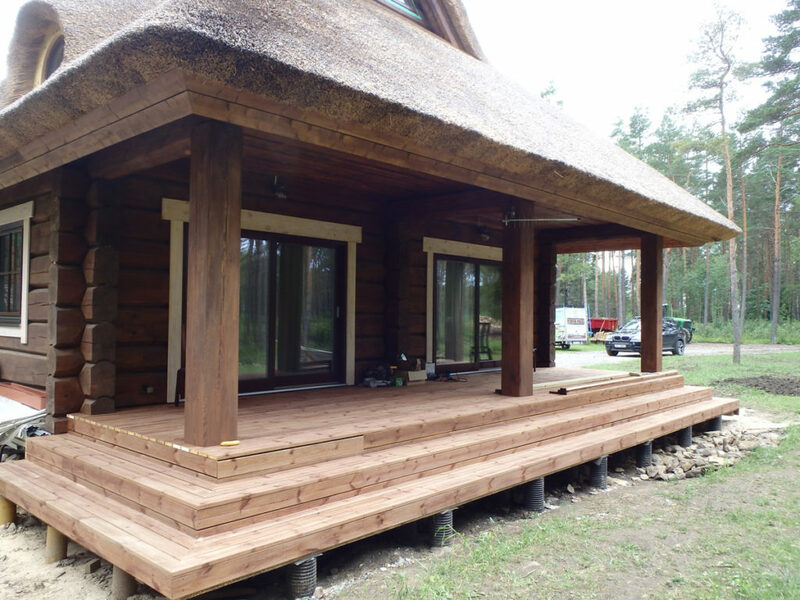 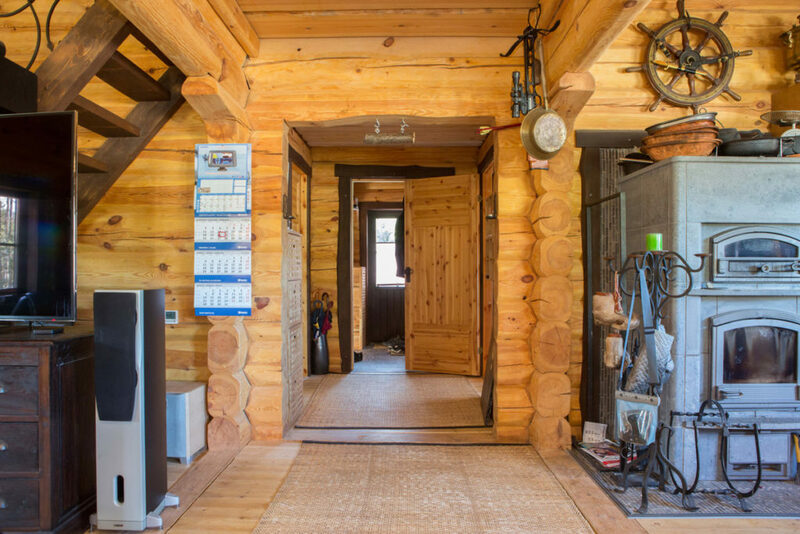 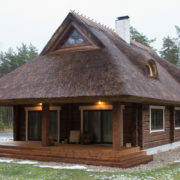 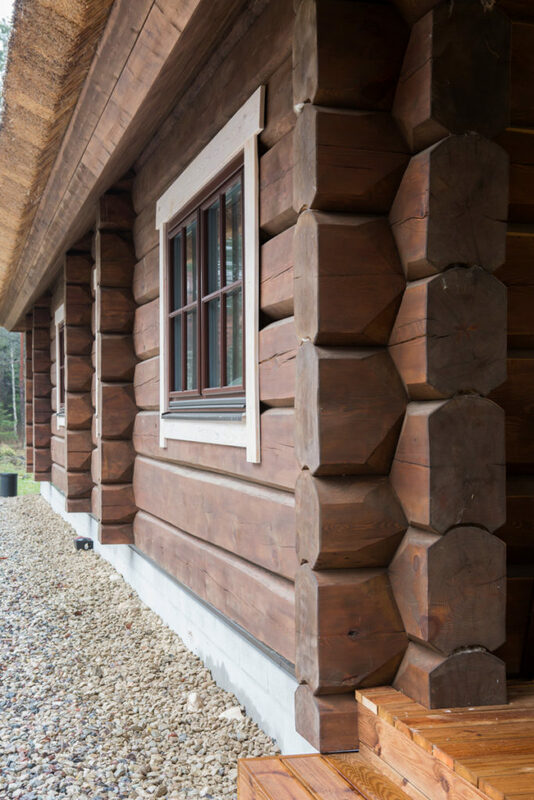 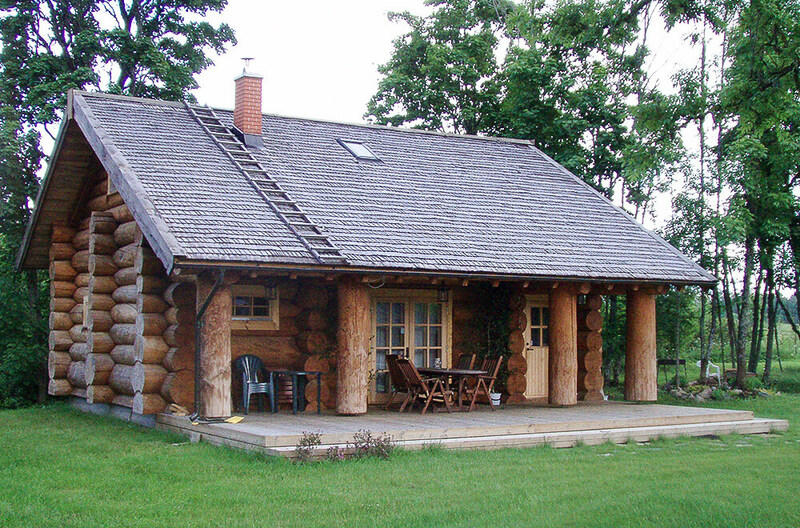 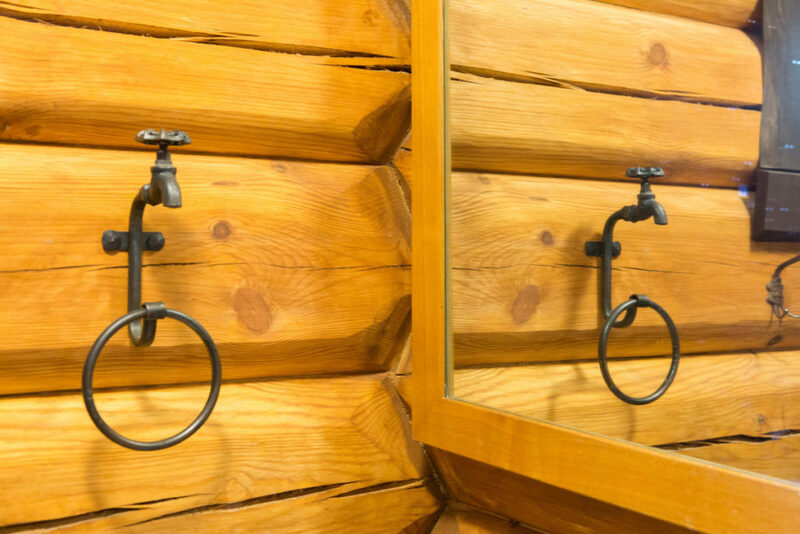 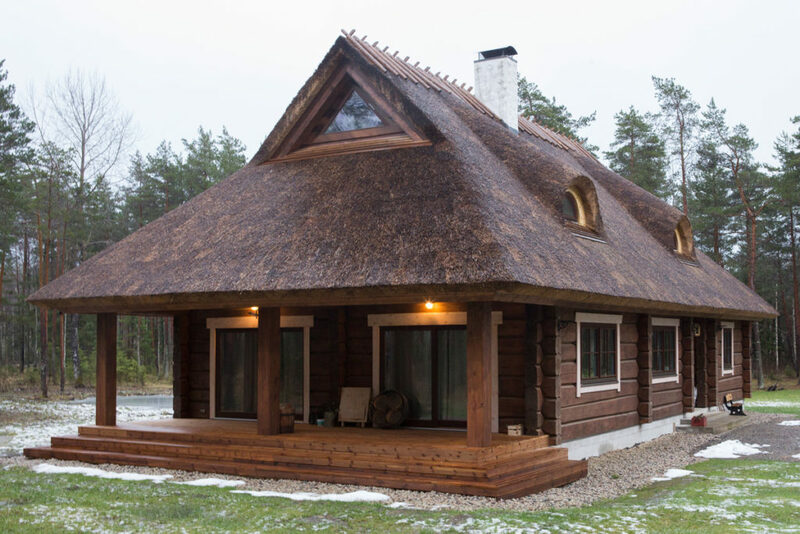 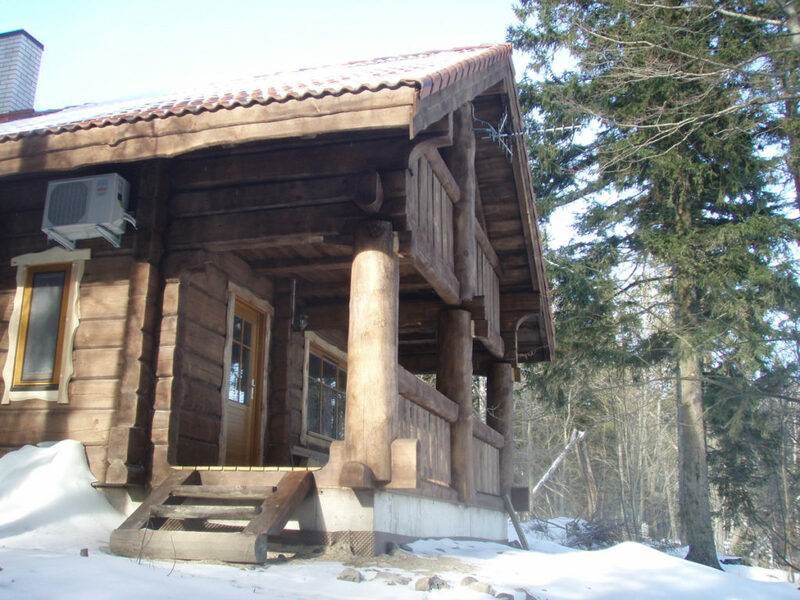 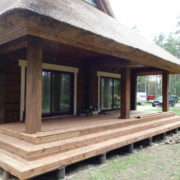 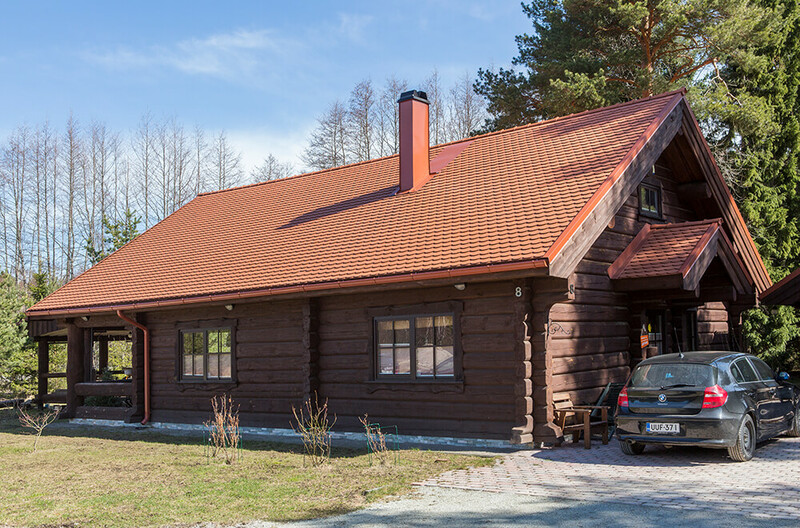 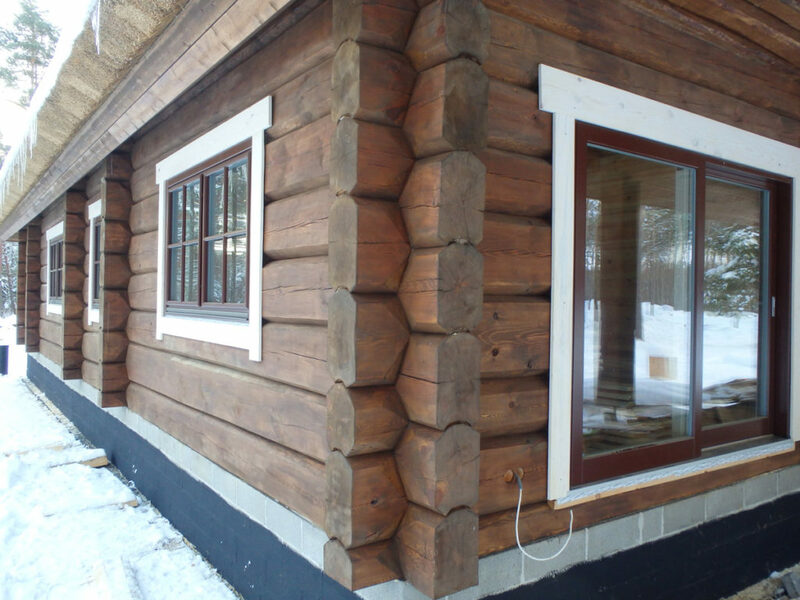 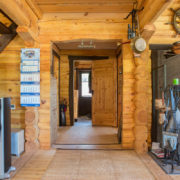 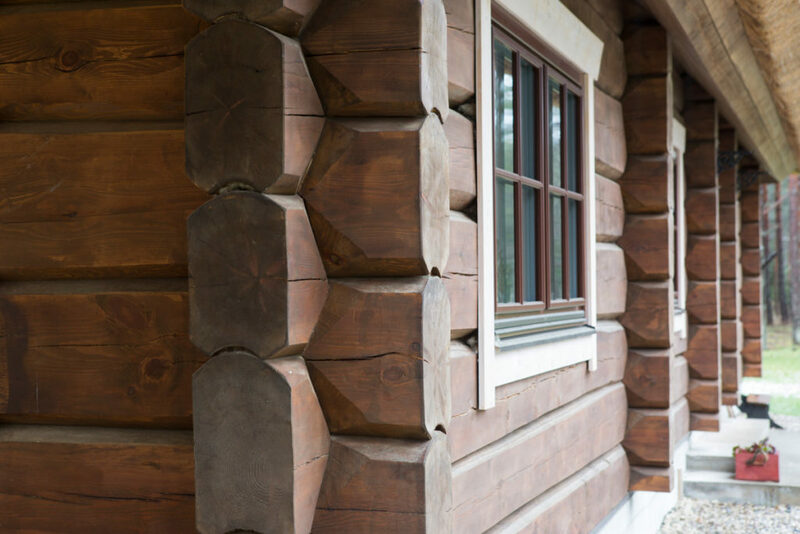 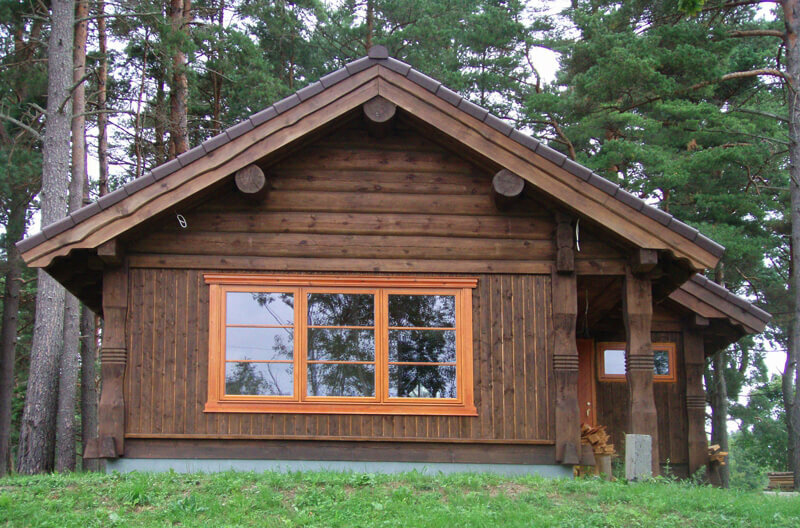 Oval flat logs are the most common in Scandinavian countries where people pay a lot of attention to making the houses weatherproof.